The City of East Palo Alto has teamed with the YMCA of the Mid-Peninsula to plan a new family YMCA recreation center at Bell Street Park. The new YMCA is designed to open up to the existing pool, poolhouse and park, to integrate all the park uses. Carrasco & Associates also designed the existing poolhouse. The YMCA’s design relates to the activities at the pool by focusing the activity and fitness center spaces towards the pool. City offices are oriented toward the park. This facility provides much-needed community services, recreational opportunities, family counseling, and serves as a focus point in the City. 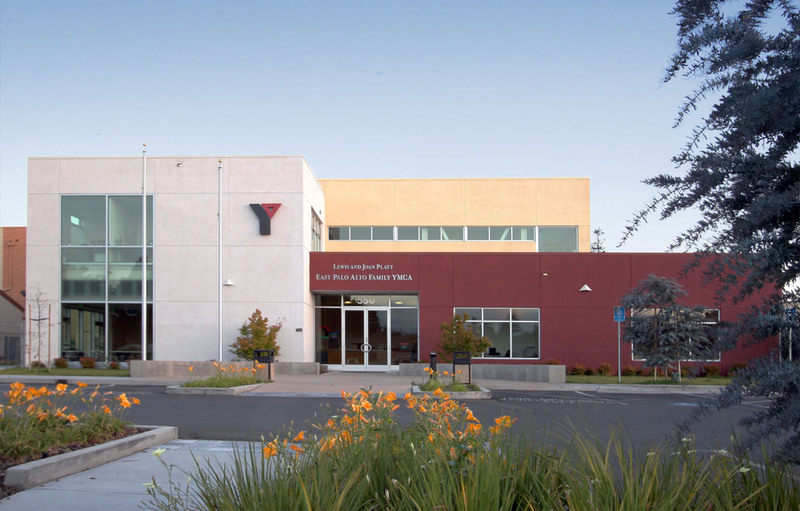 Functions of the YMCA center include: a gymnasium, fitness/wellness center, aerobics studios, locker/shower rooms, child care center, multi-purpose meeting rooms, Teen center, Youth center, YMCA offices and City Community Services department offices.